A, for her time very technological advanced vessel this Docklift 1. 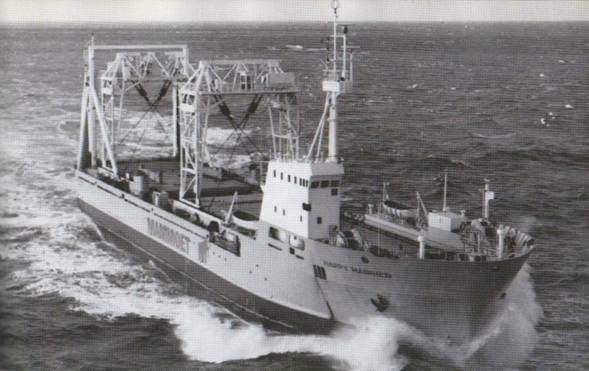 Designed and build by/for a pioneer in the Dutch Heavylift-world mr B. van der Laan. 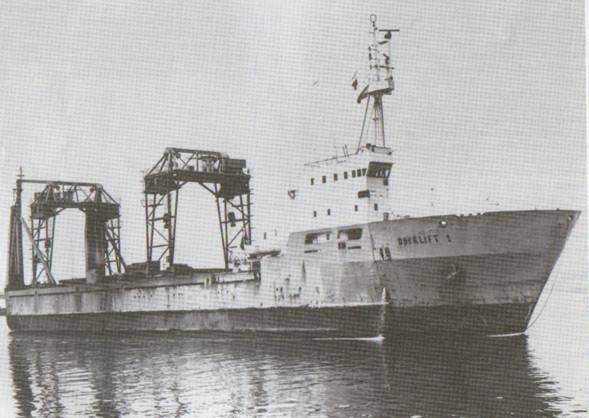 She was semi-submersible for loading & discharging floating cargo’s and had two movable gantrycranes of 320 ton each. First sailing for Big Lift she later changed hands to my favourite heavylift company: Mammoet Shipping, Amsterdam and was renamed Happy Mariner. I found an interesting story about above picture which might be published on a later date on the site. 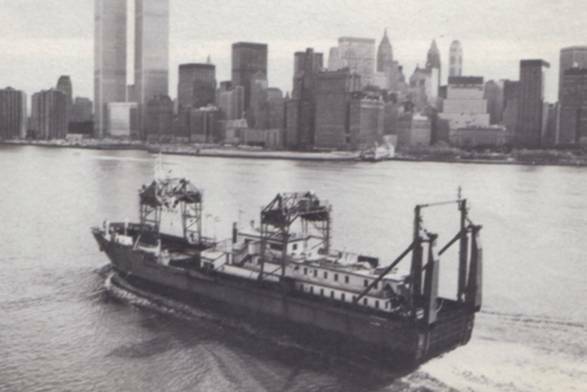 A small & irrelevant fact: Mammoet Shipping was later sold by NedLloyd to Spliethoff (both from The Netherlands) and the name was changed to…. Biglift Shipping.